PARISH CHURCH NEWS: Sunday 14th April is Palm Sunday and the church service at Whatlington will be our monthly 10.30am Family Service, tailored to incorporate the handing out of Palm Crosses to remember Jesus entry into Jerusalem on a Donkey, when the people strewed his way with Palms. PARISH CHURCH NEWS: The Church service at Whatlington this coming Sunday will be an 09.15 Holy Communion. Last Saturday: 16th March there was an interesting presentation in the Parish Church to inform villagers about the plans for a new Church Car Park. A good number of people attended and the overall response was favourable. On Saturday 16th March: there will be a special Open Morning held in Whatlington Parish Church between 10am and 12 noon. Villagers and other interested parties are invited to come and view the plans for the proposed new Church Car Park. PARISH CHURCH NEWS: Sunday 10th March will see the monthly Family Service at 10.30am at Whatlington Parish Church with our own Vicar, Revd. Kevin Mepham. As usual the service will be followed with refreshments and the Village Hall car park will be open for use. PARISH CHURCH NEWS: On Thursday of last week Whatlington church played host to a training session for church council members from the surrounding area given by Ecclesiastical Insurance. We had 53 people attend for a very useful and informative session and it was nice to see the church used for the event. PARISH CHURCH NEWS: The Bishop of Chichester, the Right Revd. Dr. Martin Warner visited Whatlington church as part of his Deanery Visitation last Thursday morning to attend Morning Prayer. Afterwards he gave a short talk and then stayed for a light breakfast, joining 18 others, we were very pleased to be able to welcome the Diocesan Bishop to our small rural church, a return visit as he came just about five years ago to celebrate the re-opening of the church following its post fire restoration. FILM CLUB NEWS: We have an absorbing, thought-provoking movie to chew the fat over this coming Wednesday, the 13th February And it features a performance by Emma Thompson that reminds us, should we need reminding, what an accomplished actor she is. In The Children Act she plays High Court judge Fiona Maye who presides, with wisdom and compassion, over knotty cases of family law. PARISH CHURCH NEWS: The service at Whatlington this Sunday will be our monthly Family one starting at 10.30 and followed with refreshments. PARISH CHURCH NEWS: The service at St. Mary Magdalene’s church this coming Sunday will be at 9.15 am Holy Communion with hymns. As always everyone is welcome. PARISH CHURCH NEWS: The church service at Whatlington this next Sunday will be an 09.15 Holy Communion with our own Vicar, Kevin. Last Sunday: saw the first Family Service for 2019 at Whatlington and despite a damp January morning there was a good congregation to celebrate the Baptism of Christ. Sunday 13th January: at 10.30am Whatlington church will be holding our first Family Service for 2019 and we look forwards to welcoming both regular and new people to the church. Children and family’s are always welcome, along with everyone else. HELLO: I hope you have all had a great Christmas and New Year. Don’t forget to let me have any events you are planning for Whatlington so that I can include them in the village voice - it would be lovely to have a full column every week. With wishes for good health and happiness to you and yours for 2019. HELLO: Don’t forget to let me know of any village events that you would like to share it is a really good way to help provide links throughout the village and promote the community. I hope you and yours will have a joyful Christmas and look forward to hearing from you in the new year with all your news. 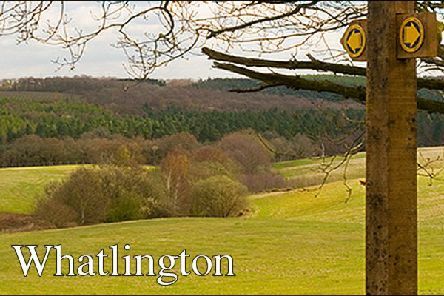 PARISH CHURCH NEWS: This coming Sunday there will not be a morning church service at Whatlington, instead at 3.30pm we have the rather special Whatlington Christmas Pageant. PARISH CHURCH NEWS: On the evening of 22nd November the film ‘Journey’s End’ was shown in Whatlington church to raise money for the charity Combat Stress. We raised a total of £85 for this very worthwhile charity, which supports those ex-servicemen and women who suffer with mental trauma arising from their service. On Saturday evening: there was a concert given in Whatlington Church by the Whatlington Singers entitled ‘Remembrance and Reflection’ and featuring the choirs president, international opera singer Louise Winter.